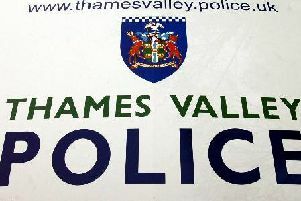 Three 16-year-old boys have had their iPhones stolen by thieves who punched and threatened them in Bicester. The boys were walking in Bucknell Road near Brookside Primary School at around 8pm last night (Wednesday) when they walked past two men who then turned around and approached them. One of the boys was grabbed and punched in the face, which caused him to fall over. Another boy tried to intervene but he was then repeatedly punched in the face. The thieves demanded the victims’ wallets and phones and threatened them and after stealing three Apple iPhones they walked off towards The Star pub. Two of the boys suffered minor injuries to their face and head. The first offender is mixed race, in his early twenties, 5ft 10ins, of slim build and he was wearing a black hooded top with an Adidas logo on the chest and black Adidas trousers. The second offender is black, in his early twenties, 6ft 2ins, of slim build and he was wearing a red or orange hooded top and grey tracksuit bottoms. Anyone with information is asked to contact the police enquiry centre on 101 or Crimestoppers anonymously on 0800 555 111.